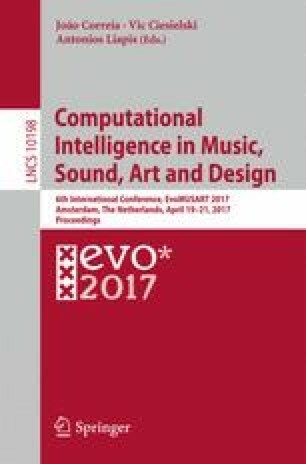 This paper describes Swarm Performance and Improvisation (Swarm-PI), a real-time computer environment for music improvisation that uses swarm algorithms to control sound synthesis and to mediate interactions with a human performer. Swarm models are artificial, multi-agent systems where the organized movements of large groups are the result of simple, local rules between individuals. Swarms typically exhibit self-organization and emergent behavior. In Swarm-PI, multiple acoustic descriptors from a live audio feed generate parameters for an independent swarm among multiple swarms in the same space, and each swarm is used to synthesize a stream of sound using granular sampling. This environment demonstrates the effectiveness of using swarms to model human interactions typical to group improvisation and to generate organized patterns of synthesized sound. The authors would like to thank Bowdoin College students John Burlinson, Nicole Erkis, Grace Handler, Octavian Neamtu, and John Truskowski for their work.